We strongly support awareness about developing countries in class (primary and secondary school). Therefore we do offer educational materials that can be used in class at different levels. Please contact Jeannine Laurens who is currently working as a Geography teacher in Amsterdam. A fun run is a run to raise funds for children in the Philippines. Pupils of your school will run several laps. Beforehand, let them be sponsored per lap. On race day the children will run as many laps as possible in a given time. The funds that will be raised by the pupils will be used to provide education for underprivileged children in Philippine slums. What is in the fun run package deal? How much time to organise a fun run in my school? Organising a fun run does nothave to take too much time. Anak will take care of the organisation of the run and will provide the school with all necessary materials. 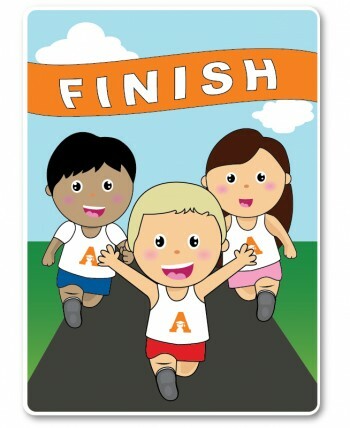 With a script from A to Z is the fun run at your school will be great success! Is the fun run suitable for our school? 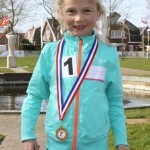 A fun run is suitable for all kids at all levels. A sporty activity with a lot of fun! We have organised fun runs for all levels and also for special schools. 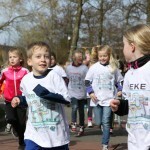 How to start a fun run at school? – Dot the route with pawns, depending on the age of the children, for example, a circle in the schoolyard. -Parents may encourage along the sidelines. -After the finish all participants will be honoured and they will receive a certificate with the number of laps on it. For more information please feel free to contact Jeannine Laurens jeannine@anak.nl of 0646068963.